Today, we just have a couple quick updates on some of the literary adaptations that are underway or in the pre-planning stages. Many of these bits of information were revealed at last weekend’s Comic-con extravaganza in San Diego that included a lot of cool panels, updates and appearances (even though it’s not based on a book, I’m pretty excited for Guillermo Del Toro’s Pacific Rim). So, here are the new updates indulged at Comic-con and elsewhere in the last few weeks. 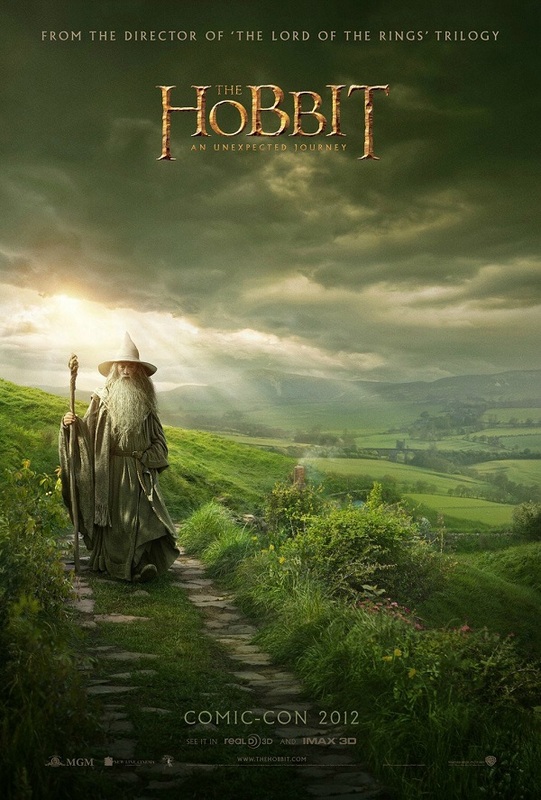 The Hobbit – It was great to hear that after a not so great initial reaction to footage screened for critics a few months ago, The Hobbit bounced back at Comic-con with glowing reports from sources in attendance. I think the best bit of news to emerge was that Martin Freeman apparently nails the role of Bilbo in the scenes they showed, which is honestly such an important part of making this adaptation work. If Bilbo wasn’t right, then all the CG dragons and dwarf drinking songs in the world couldn’t compensate for that shortcoming. Also revealed at the con was Peter Jackson’s desire to turn The Hobbit into a trilogy. Tolkien’s classic as two movies makes sense, but adding a third might be a little bit of a stretch. We’ll see if that ends up happening or if Jackson will stick to his original two-part, back to back Christmas debuts plan. Mockingjay – In other franchise lengthening news, it was also revealed that Mockingjay, the finale in the Hunger Games trilogy, will be cut into two movies, ala the two-part Harry Potter finale. Mockingjay certainly has a lot going on within its pages, but I don’t know if the pace of the book really lends itself to being a successful two-part movie. There just doesn’t quite seem to be a great halfway point in Mockingjay unless the filmmakers took it upon themselves to do some serious reshuffling in terms of the order of events. Some sources have already started speculating as to where a viable cutoff point would be. Snow Piercer – Snow Piercer (aka Le Transperceneige) wrapped principle photography this week, allaying fears that the recent budget troubles might mean delays in the filming schedule. There really hasn’t been much in terms of set photos or promotional materials out for this one yet, but the completion of principle photography is really good news. Although the source material is pretty obscure, I know there are a number of people excited to see The Host helmer Joon-ho Bong’s English language debut. At a budget of $39.2 million dollars, it currently stands as the most expensive Korean production of all time. Wool – The rights to Hugh Howey’s self published sci-fi hit Wool have been snapped up by Ridley and Tony Scott’s production company. If you’re unfamiliar with it, the internet has been in love with this book and many have already labeled it a sci-fi classic. That is certainly strong praise for a self published book that has experienced a meteoric rise from relative obscurity since it was published in January. No word on who will direct it, but chances are it will probably be one of the Scott brothers, with the more likely candidate being Ridley and his notable sci-fi background.